A very powerful book, probably the closest thing in print a white man can come to experiencing what it's like to live in a world where no matter what you do you're always a "boy" - a second-class citizen. I particularly liked Himes' ability to look at the many ways African-Americans cope with that status. I think it's better today than when this book first appeared in 1945 but then I read about a private swimming pool that barred a bunch of black children from swimming there (after they had joined) because they caused the white parents too much anxiety, and I live in LA and know how segregated people still are here. 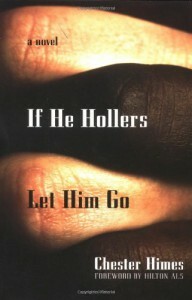 Definitely a book that should be read.